The Management Plan for the Wolf Population in Finland, adopted by the Ministry of Agriculture and Forestry in January 2015, proposes a two-year trial period for allowing more flexibility in the hunting of wolves. The hunting allowed in winter 2015 and winter 2016 was to target young wolves, while killing alpha individuals was to be avoided in order not to put the viability of the pack at risk. After the two-year trial an evaluation was to be conducted before deciding whether hunting should be continued. This evaluation has now been completed. In 2015 a total of 17 wolves were killed in the trial hunting, three of these alpha individuals of the pack. When hunting permits granted to prevent significant damage, wolves killed by police order and other wolves reported dead are included, the removals from the population totalled 42 wolves. In the trial hunting in winter 2016 a total of 43 wolves were killed, 20 of these alpha individuals of the pack. Removals from the population totalled 78 wolves. 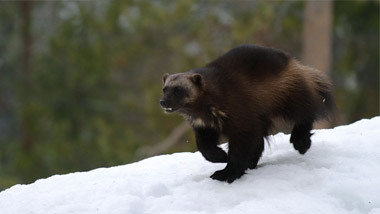 In winter 2015 the number of alpha individuals killed was very small and the population was calculated to have grown from 220-245 to 275-310 individuals in 2016. The number of alpha individuals killed in the trial hunting in winter 2016 was much higher, however. The evaluation concluded that, while hunting in winter 2015 may be considered successful, hunting in winter 2016 and the large number of alpha individuals killed shows that the sustainability of hunting as it was being carried out in the trial period cannot be guaranteed. The problem is that the derogations applied in the trial must be granted well in advance as they do not become applicable until the expiry of the appeal period and the derogations are applicable in several territories at the same time. Hunting in 2016 showed that targeting hunting to young individuals in accordance with the objective is quite difficult. When making the decisions the ministry and the Finnish Wildlife Agency cannot foresee the impact of hunting on the wolf population as a whole as the derogations are in force and applicable in all the areas covered at the same time. Instead, the inquiry by Taloustutkimus in 2014 and 2016 showed that more flexible hunting had a positive impact on people's attitudes to wolves. What is particularly notable is that the share of those who accept illegal hunting of wolves simply on the grounds that wolves live in a certain area fell from 24 to 14 per cent. The evaluation concluded that even if the objectives with regard to the type of wolves killed and total removals were not fully met, hunting should continue with slightly different regulations. The Ministry of Agriculture and Forestry should establish the maximum allowable number of wolves to be killed. When this number is met, the Finnish Wildlife Agency will not grant any new derogations. The number of wolves killed would also include the wolves killed by a police order. The derogations would be granted under a different provision than in the case of the trial so that they can enter into force immediately. This has the benefit that the Finnish Wildlife Agency could adjust the numbers of derogations granted, also taking account of the behaviour of the wolf pack and number of individuals during the snow season while following the numbers of alpha females killed. The Management Plan for the Wolf Population in Finland aims to reconcile the needs of wolves and their protection and those of the citizens living and working in wolf territories. The management plan was based on the weak status of the wolf population, on the one hand, and the strong criticism against actions by the public authorities, on the other. The plan sets out measures concerning wolf hunting with the aim to strengthen the sense of security among the local people and their opportunities to influence what happens in the area where they live. This should make wolf populations more acceptable especially among the people living in wolf territories, while making illegal killings feel less acceptable. 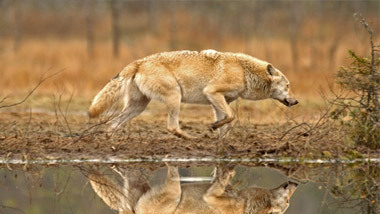 In 2006–2010 the Finnish wolf population declined by the average of 15 individuals a year. The main reason suggested was illegal killing. The public authorities have tried to prevent illegal killing by introducing more severe punishments. To ensure the growth of the wolf population the Ministry of Agriculture and Forestry allowed to grant individual derogations on an annual basis only to prevent significant damages. 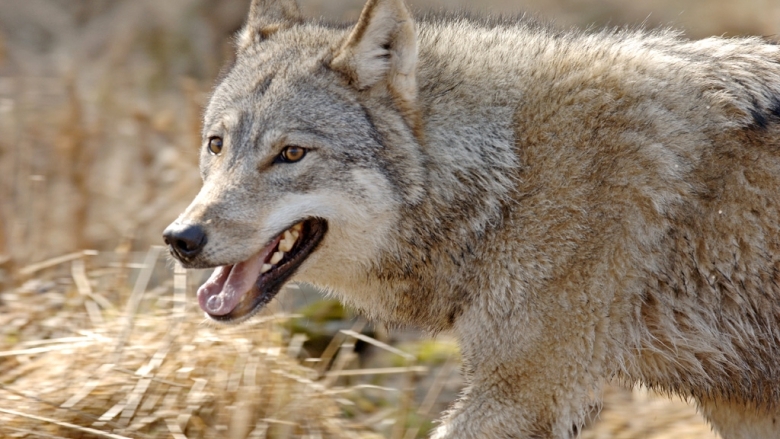 The wolf population did not start to grow, however, with the lowest figures reached in 2013. In the hunting year 2011–2012 only two and in 2012–2013 four wolves were killed outside the reindeer husbandry area under derogations granted by the Finnish Wildlife Agency. It was only the launch of the preparations of the new management plan in 2014 and the expectations of the local people relating to it that brought wolf population back on the growth path.